Gregory M. Reynolds, a 1997 graduate of the Virginia Military Institute, worked in the financial industry in Manhattan where he earned an MBA in Business management from Dowling University. In 2003 he left the financial industry and took over operations at Furniture Works from his father, who had founded the company in 1975 and was looking to retire. Greg has since doubled the scope of the Furniture Works, making it a true American small business success. Furniture Works collaborates with its clients to fabricate and finish original designs, such as tables, chests, and built-in units. 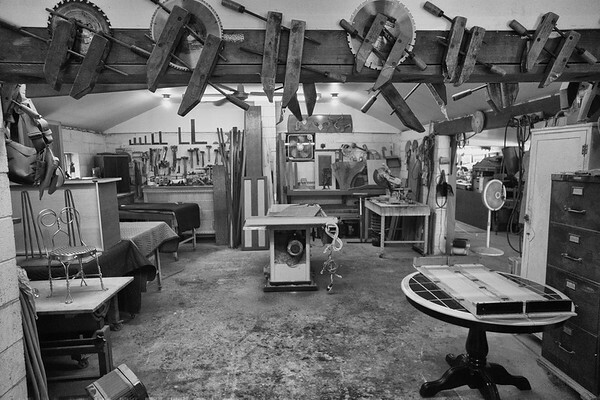 Furniture Works specializes in 'Live-edge' pieces that truly transcend furniture and become integral pieces of art.